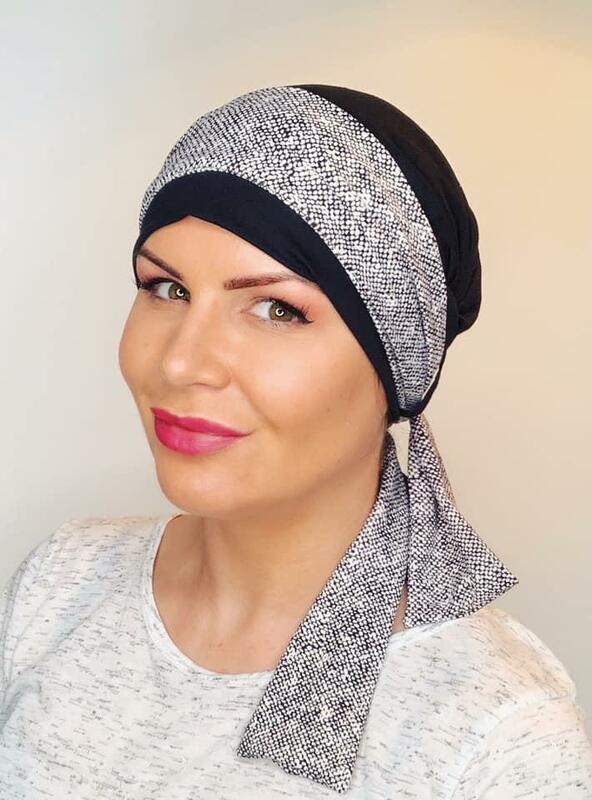 Beautiful versatile headscarves for hair loss. This is a simple hat base which has loops at the side to feed scarf through. This can be worn with or without headscarf that comes with it, making the scarves interchangable. These cancer caps can also be worn on their own. Fastened with a simple knot at the back and made in bamboo. Price is for both hat and scarf. This is a short tailed headscarf which falls just above the shoulder when tied.